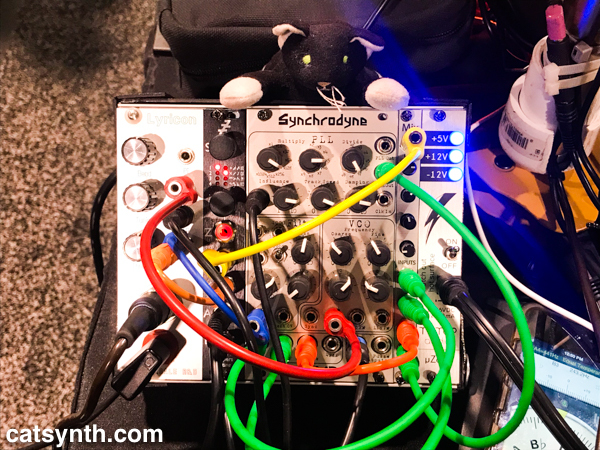 Posted on January 29, 2018 February 3, 2018 by catsynth	This entry was posted in Reviews, Synthesizers and tagged analog, eletronic wind instrument, modular, namm, namm 2018, pedro eustache, phase locked loop, PLL, review, Synthesizers, wmd. Bookmark the permalink. Hi!! Thanks so much for your great review… Truly appreciate!!! I just wanted to clarify:the analog wind controller I’m playing is the Computone “Lyricon Wind Driver”, by David O’Brien http://daobrien.com/lyricon.html …Please, It would be great if we could tag &/or add that info in, please… Thanks so much in advance!!! God bless you! !